Telephone interviews are really helpful when you need to assess a large pool of applicants and filter them down to a more manageable number to interview in person. It also gives you the opportunity to “meet” the applicant and have a productive conversation, give you a better idea of their personality, and assess their telephone manner (invaluable if their role has a high level of client contact, or requires the jobholder to think quickly on their feet). But phone interviews are not designed to replace the traditional face to face interview, and the techniques and structure used is slightly different from a face to face interview. If you understand these differences from the outset, you will be able to conduct a very productive phone interview. 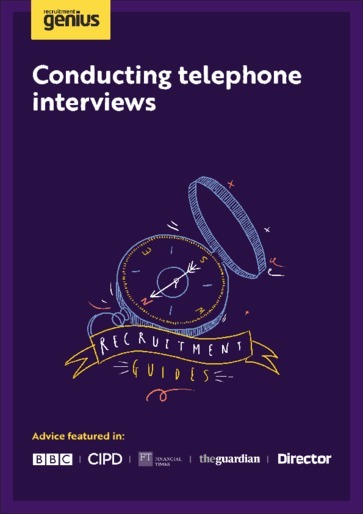 If you follow this guide you will get the most out of the telephone interview method and you stand an excellent chance of finding the best candidates to fill your vacancies.